To photograph a Hendon Hall wedding is also a chance to immerse yourself in one of England’s greatest sporting achievements. By that I mean the World Cup win of 1966, led by Captain Bobby Moore and his team of now household names. It was the Hendon Hall hotel that Alf Ramsey and the England camp decided to use as a base to stay for the team, and also a training ground between matches. Conveniently placed it was just a short skip and a jump to the old twin towers of Wembley Stadium. That training ground is now tarmaced over as the car park that your wedding guests will leave their vehicles on to be a part of your big day! It’s a fantastic bit of history that acts as a nice backdrop to any wedding day celebrated at this popular venue. 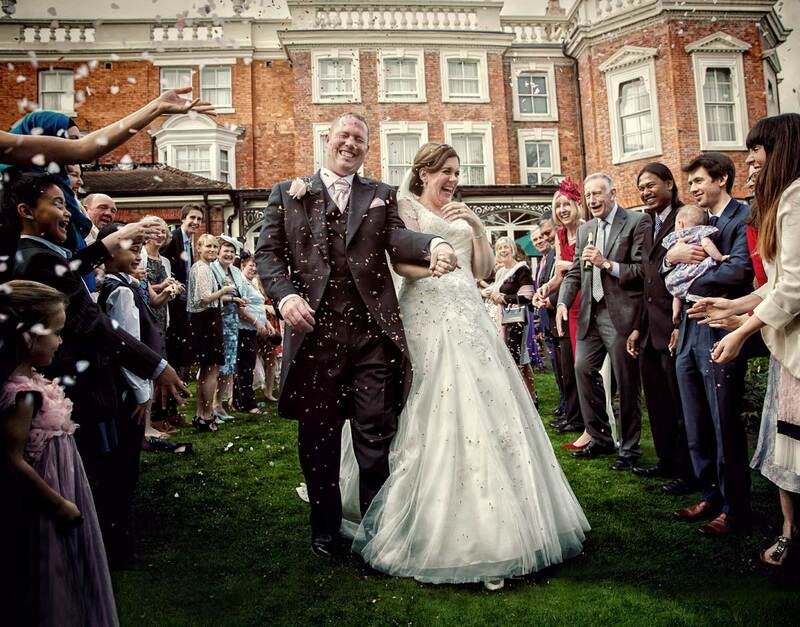 Personally we have photographed at Hendon Hall many times. You have a choice of venues for your wedding ceremony from one of the Georgian rooms in the main house itself, to their dedicated function room the Pembroke Suite, adjoining the Hall for a larger gathering. There is also an extra bar attached to this where your guests can chat and drink between courses or when the room is being turned around. Of course in the main house there is a restauarant, bar, terrace and gardens for socialising and photography. 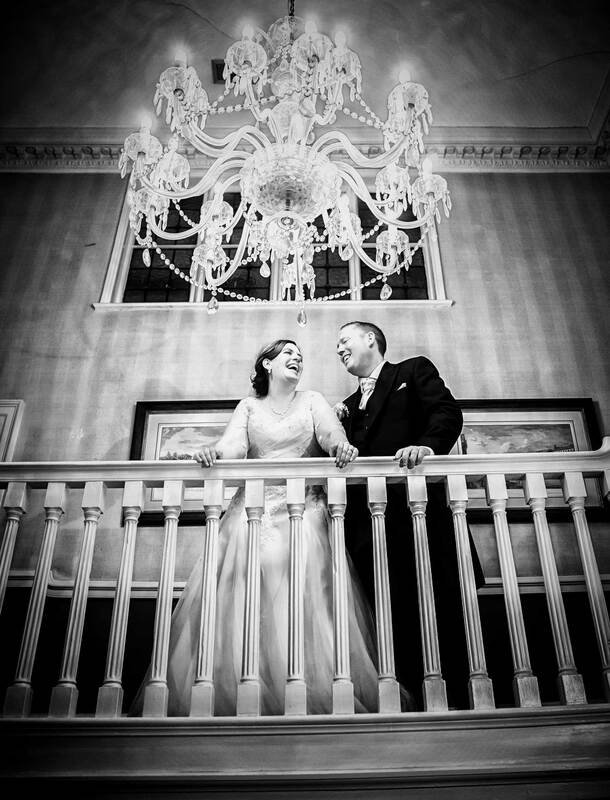 Featured here on the blog post image is a shot from Laura and Colin’s special day at Hendon Hall, and this image is taken in the Georgian part of the hotel at the top of the main stairs using one of our specialist spotlights. The image above is one from their confetti shower on the back lawns of the house. 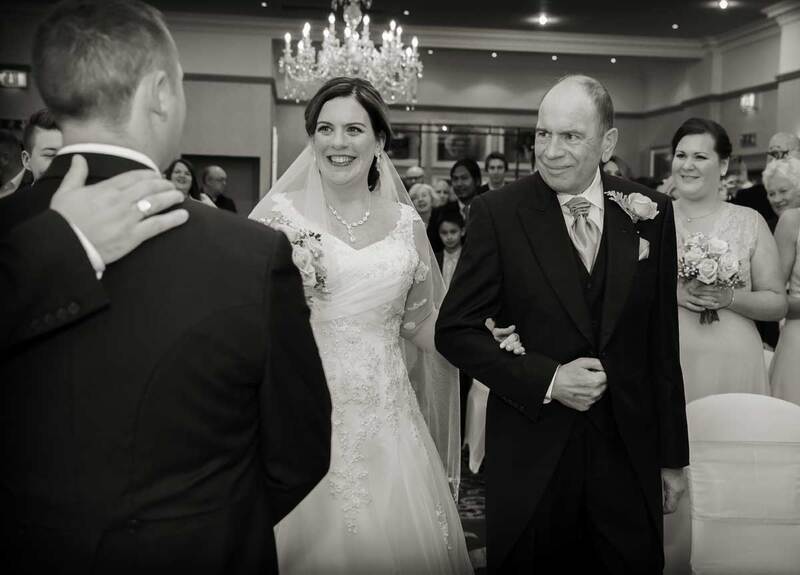 I love this moment shown below in the Pembroke where Colin full of emotion on seeing Laura walk down the aisle, has a reassuring hand suddenly placed on his shoulder by his best man. 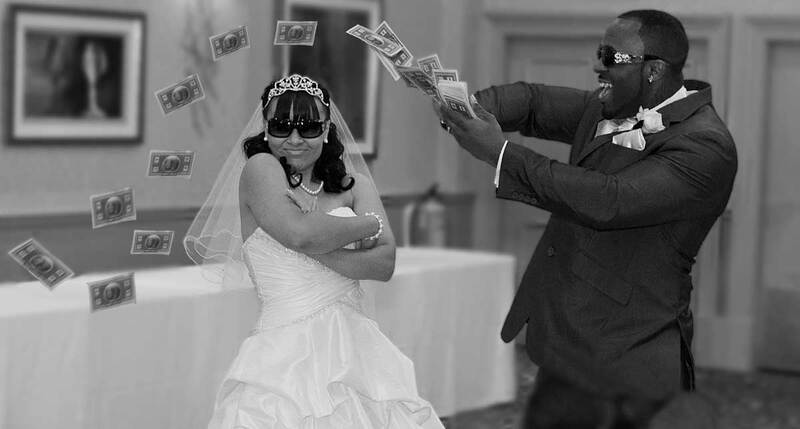 Also featured is one of my favourite images from past weddings here in the Pembroke Suite, as the bride and groom made their grand entrance for the wedding breakfast dressed in a gangsta style throwing money around personalised with their faces on the dollar bills. I never dared ask the groom what he really did for a living! For convenience here’s some of the capacities of Hendon Hall Hotel for weddings: Pembroke Suite, Ceremony: 300 Dining: 180, Reception: 250. Hogarth, Ceremony: 40 Dining: 40 Reception: 50. Sheridan, Ceremony: 40 Dining: 30 Reception: 40. Johnson, Ceremony: 25 Dining: 20 Reception: 20. As you can see a room and space pretty much for every size of occasion.